How can AirFinder help your facility? Manufacturing is a very cost-centric industry—its ultimate goals are centered around creating more and wasting less. Since AirFinder utilizes inexpensive tags and has very little infrastructure or installation costs, you can track a large number of assets while still keeping costs low. 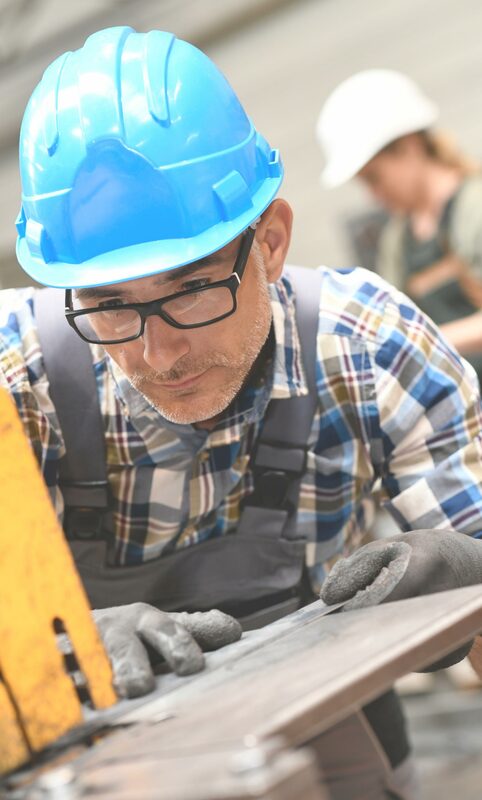 Ensuring your resources are staged appropriately is critical—and AirFinder RTLS for manufacturing can be vital in improving this. For example, AirFinder enables you to see that there’s only a single reel of material left at a certain staging point, allowing you to replenish the material in a timely manner so your production line doesn’t go down. Knowing what stage of development your product, inventory, or assets are in helps you bring in a new stream of critical data. Location information from AirFinder can then be used to drive efficiencies and dramatically improve production cycles. In a process-driven industry like manufacturing, this can make all the difference. Whether you’re tracking pallets to ensure fresh produce leaves the processing plant on time or you’re tracking and locating a misplaced lot of goods, AirFinder RTLS for manufacturing can help keep your organization’s quality control up to par. Enabling location technology in employee and visitor badges has a number of positive benefits. For one, you can keep record of where tagged personnel are and have been to both deter and track possible theft. And, in the case of an emergency, knowing the location of all employees or on-site vendors can save lives. The majority of RTLS technologies have at least three necessary components: the software, the reader, and the location tags. 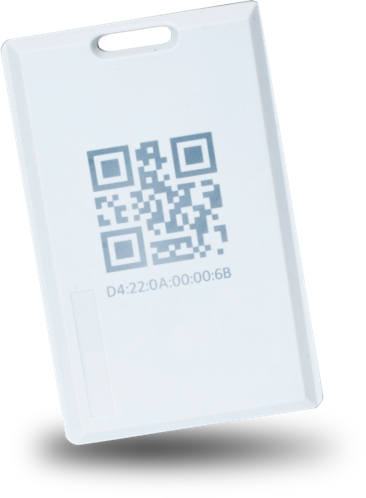 Take a look at this article for detailed information on the most common location tags: ultra wide-band, WiFi, infrared, passive RFID, and active RFID. Not only do AirFinder’s BLE tags come in hundreds of shapes and sizes, they’re also cost-effective. This opens the door to a whole new set of manufacturing use cases that more expensive RTLS solutions can’t address, allowing you to track more assets and cut out inefficiencies. Looking to integrate location into your own application? 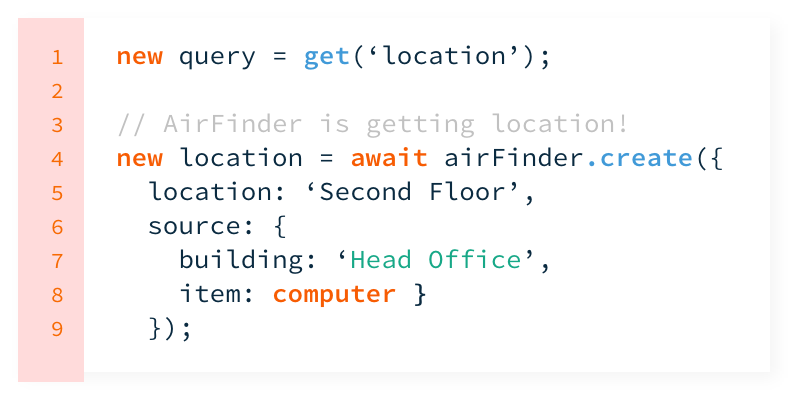 AirFinder’s location API makes this process easy. 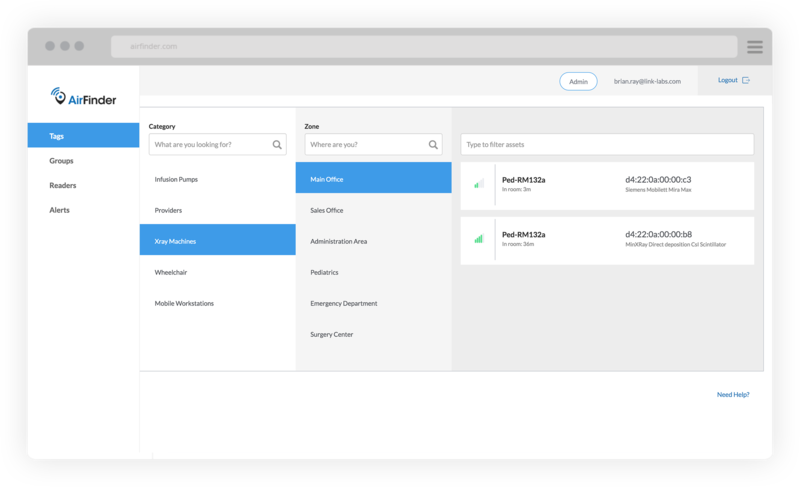 The location API features both RESTful and data streaming modes and can work in concert with enterprise resources planning (ERP) and management software, among others. Learn more about each in our documentation. Many RTLS applications have unnecessarily complex interfacing—but AirFinder’s web application makes accessing location and utilization reports simple. You can deploy RTLS for less money, with no IT integration hassle. Talk with us to find out how. 02.25.2019 | How accurate does your asset tracking system need to be? 11.14.2018 | Is RFID Asset Tracking Still Viable? Get the latest RTLS news and insights delivered straight to your inbox.